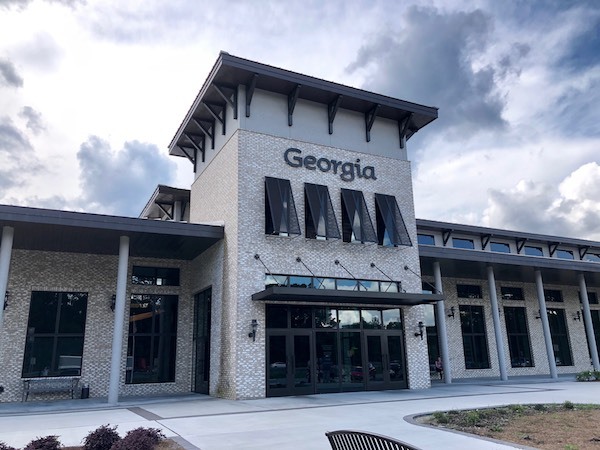 Coastal Canvas Products are leaders in premium Shade Solutions with 40yrs experience manufacturing & installing Residential & Commercial Shade Structures. In order to protect your home properly from a hurricane it is highly recommended that you take the necessary precautionary steps long before the first threat of a storm comes to our area. 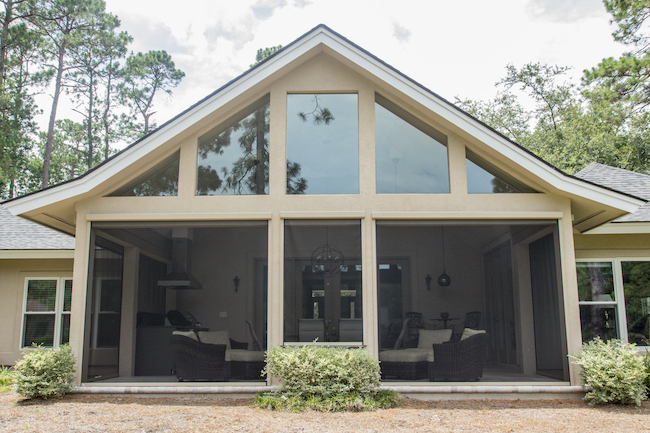 Here in the Low Country - from Charleston, South Carolina through Savannah, Georgia and down to Jacksonville, Florida we have witnessed recent hurricanes and have seen how windows and doors are especially susceptible to wind damage. Water infiltrates your home quickly if these openings are breached. Wind coming in through compromised window and door openings can create dangerous pressure inside a home that can destabilize the walls and roof. To encourage homeowners to take steps to minimize damage, many insurers offer discounts for hurricane-mitigation improvements such as storm shutters or hurricane-rated screens. Please contact us at Coastal Canvas Products to see how we can custom order window and door protection for your home before the next threat of a storm comes our way. The lead-time for these items is 6 to 8 weeks minimum from time of purchase, so it is highly recommended to order before hurricane season begins. Let us first begin by wishing you a very Happy New Year. We are excited about the possibilities that a new year will bring here at Coastal Canvas Products. Our days begin each day with a new energy and quest to do more, accomplish more, and succeed at more. We are busy at work on prototypes for a new handbag line made right here in our shop in Savannah, Georgia. Why throw away fabric scraps from our awnings made daily we asked ourselves recently? Why not re-use and recycle these fabrics into beautiful custom handmade bags? It seemed an obvious answer but one that has taken some time for us to realize and to put into production. So, stay tuned for the release of our very own collection – which stays true to our commitment to beauty, quality, and value. 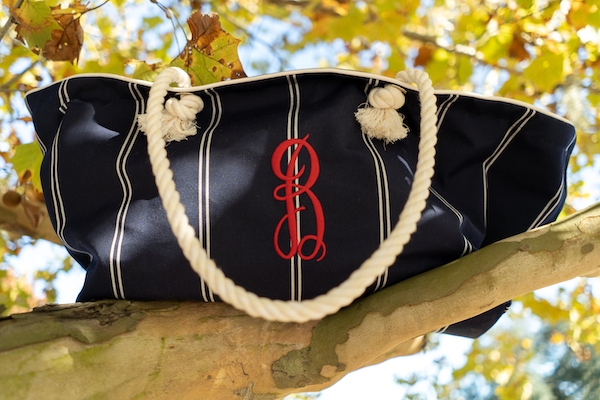 We don’t want to keep you in total suspense so here is a sneak peek and let us know if you want to be one of the first of your friends to own one of these very special and unique bags. Skin cancer is a disease that affects people of every age, gender and ethnicity. One in five Americans will develop skin cancer by the age of 70; in fact, more people are diagnosed with skin cancer each year in the U.S. than all other cancers combined..but there is good news. Because skin cancer is chiefly a lifestyle disease, it is also highly preventable. About 90 percent of nonmelanoma skin cancers and about 86 percent of melanomas are associated with exposure to ultraviolet (UV) radiation from the sun. Knowing the risk factors and practicing sun protection year-round are key to reducing your risk. 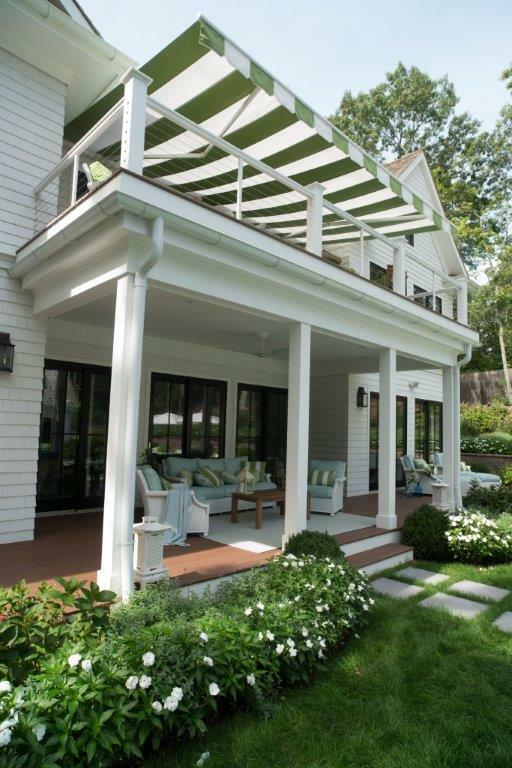 Protect yourself from the sun and enjoy the outdoors at the same time with a beautiful home enhancement such as an awning for your deck or patio. 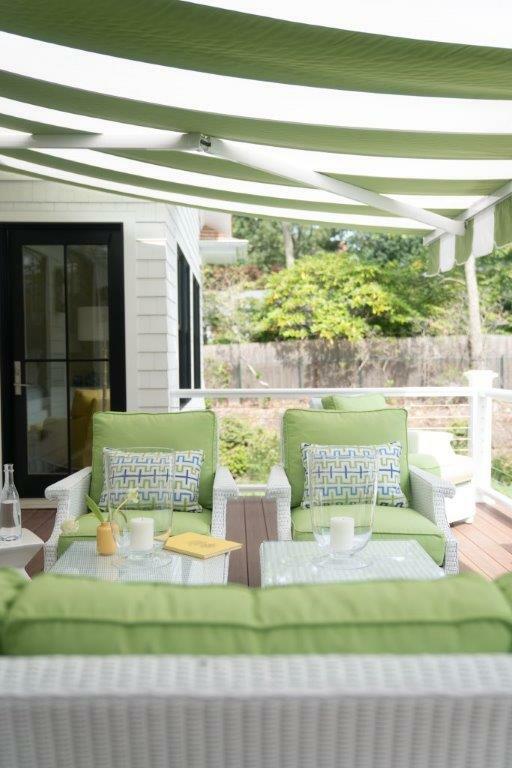 Our awnings at Coastal Canvas Products are made with Sunbrella shade fabrics that are high in UPF protection, and recommended by The Skin Cancer Foundation as an aid in the prevention of sun-induced damage to the skin as a part of a complete sun protection regimen, including the regular use of sunscreen. Seek the shade, especially between 10 AM and 4 PM when the sun is strongest. An extra rule of thumb is the “shadow rule.” If your shadow is shorter than you are, the sun’s harmful ultraviolet (UV) radiation is stronger; if your shadow is longer, UV radiation is less intense. A retractable awning can be a wonderful asset to have as it provides sun protection when you want it then, with the simple touch of a button or the turn of a crank, your awning easily disappears so that you can enjoy the stars instead of the sun above. 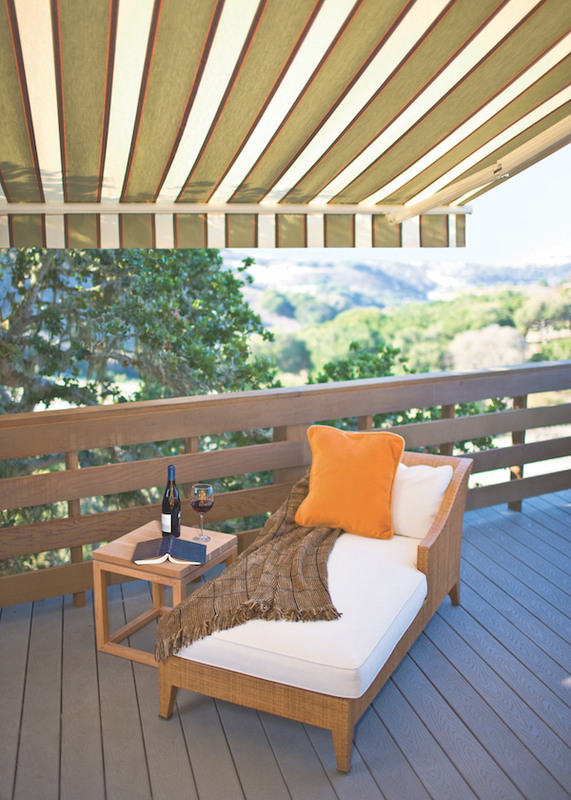 Contact Coastal Canvas Products today to learn about our awning products and Sunbrella shade fabrics! Motorized screens are in place when you need them and retracted with the touch of a button when you do not. They protect you and your property against damaging solar rays, insects, debris, wind, and rain. They reduce energy usage – solar screens deflect up to 95% of ultra-violet solar rays. They extend the use of your outdoor living area. Decrease outdoor-to-inside visibility for greater privacy while providing inside-to-outside visibility. At Coastal Canvas Products we see value as a long-term proposition. Using the best materials and equipment, we build screens that last. 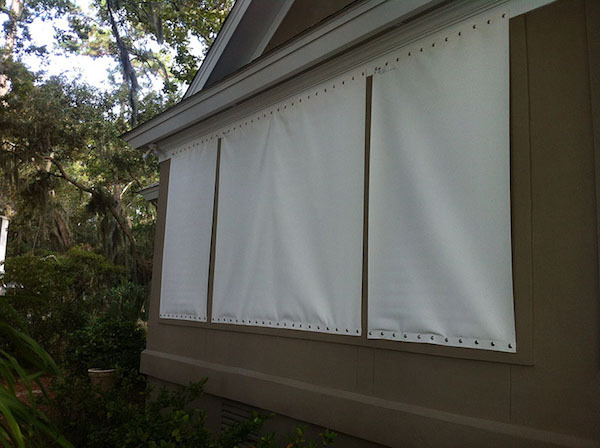 All of our screens share the same type of end retention system originally developed for 200 mph wind and impact-rated hurricane screens and do not use zipper based screens that are notorious for blowing out. Our screens can be built into the soffit during new construction or discretely surface mounted after market. 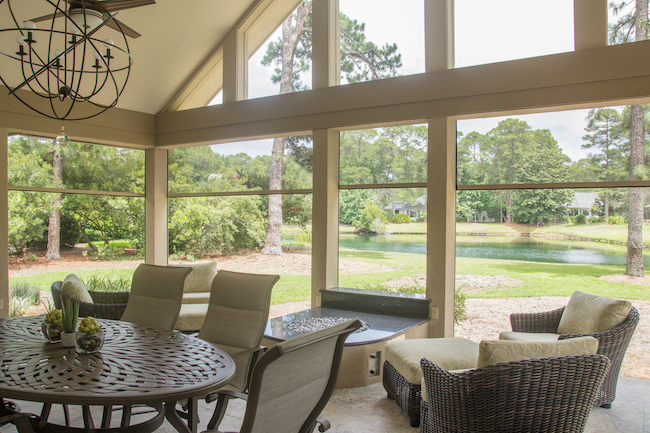 Contact Coastal Canvas Products today to learn more about motorized screens for your home! Restaurant Sales increase when outdoor patio spaces are cool and comfortable. That’s what restaurant owners throughout have realized again and again. The more comfortable their customers are the longer they will sit to drink & dine; and therefore, the more money the customers will spend. 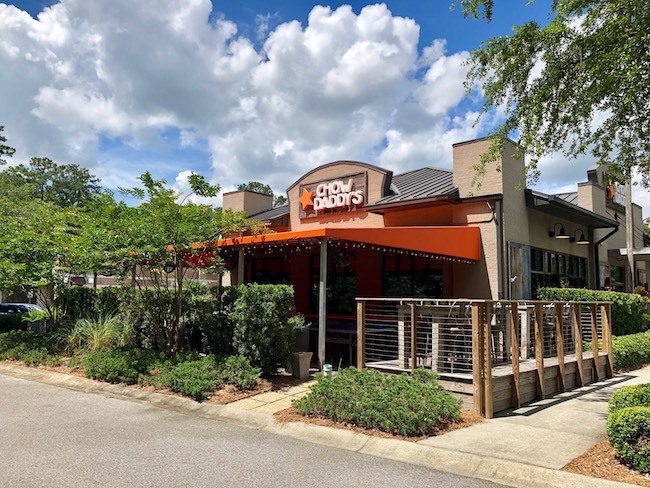 Check out the latest projects that Coastal Canvas Products has created for restaurants in Savannah, Bluffton, and Hilton Head Island. We provide our customers with a truly unique experience based on their individual needs. We collaborate with you to deliver solutions you can count on to bring your visual imaging, fabric, and shelter solutions to life. 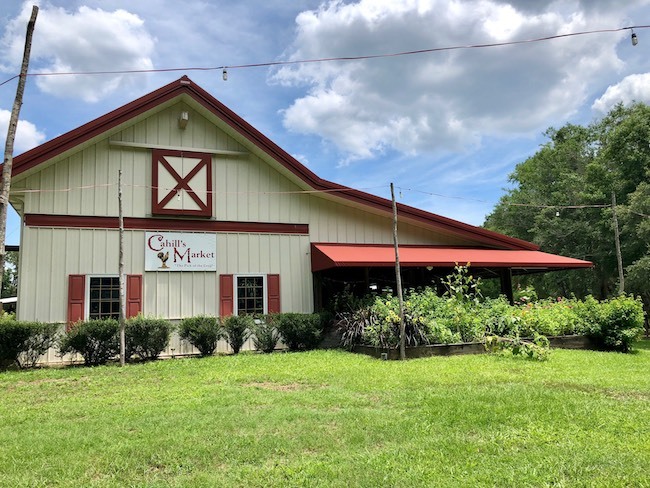 In addition to their aesthetic appeal, awnings, canopies, and retractable screens can offer protection from nature’s elements for your customers without sacrificing natural light. The sun can be harmful to your products and furnishings and uncomfortable for your employees and customers. 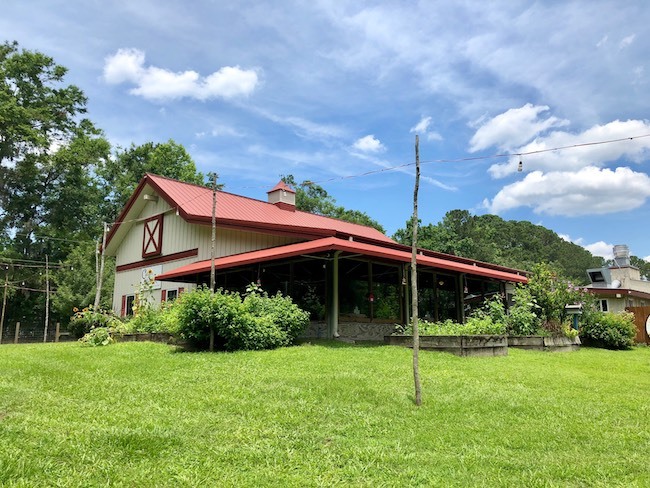 Custom awnings together with vinyl curtains can also offer protection from rain that can make hard flooring slippery as people track water indoors and contain heat when the weather turns cold. We want your customers to have fun in the shade, not just in the sun! Contact us today to learn how Coastal Canvas Products can make your outdoor dinning space more comfortable this summer! With 2 years in a row of hurricane damage to our personal and business locations, we are no longer secure in the belief that severe storms do not hit in our Low Country area. It is critical to strategize and plan now on how to protect your home or business before the threat of a severe storm hits. Coastal Canvas Products are experts in storm protection products. We offer a large variety of Roll Shutters, Bahama Shutters, Colonial Shutters, High Impact Fabric Panels, Storm Panels, and Motorized Screens. Tropical Storm Hermine (2016), Hurricane Matthew (2016), and Hurricane Irma (2017) created great disruption to our community ; however, the impacts were far less than the potential. Fabric Storm Panels are lightweight and a fraction of the weight of steel or aluminum or plywood panels. They may be rolled, laid flat or hung for compact, easy storage. They are translucent and allow diffused light to enter and attractive for a flat clean look to match the exterior of your home. Rolling shutters are designed to water-proof windows and entrances in the worst possible conditions. 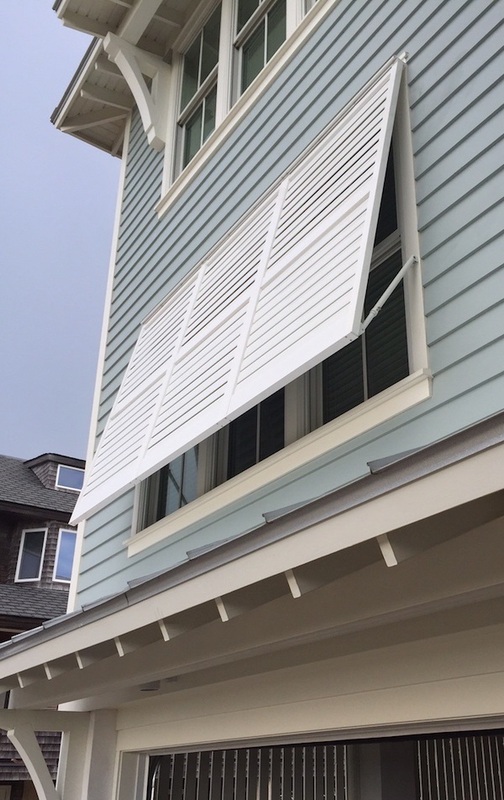 Our rolling shutters have been tested to withstand hurricane force winds and rain, and to keep these conditions from damaging your property. Custom shutter or fabric panel orders are made specifically per each window and door opening. Allow 3-4 weeks minimum to manufacture so that your building is protected from hurricane strength wind gusts before the threat of the storm happens. Contact Coastal Canvas Products today to learn how we can help protect your home or business from potential storm damage.